No, we don’t actually, we celebrate romantic love and all that it entails. 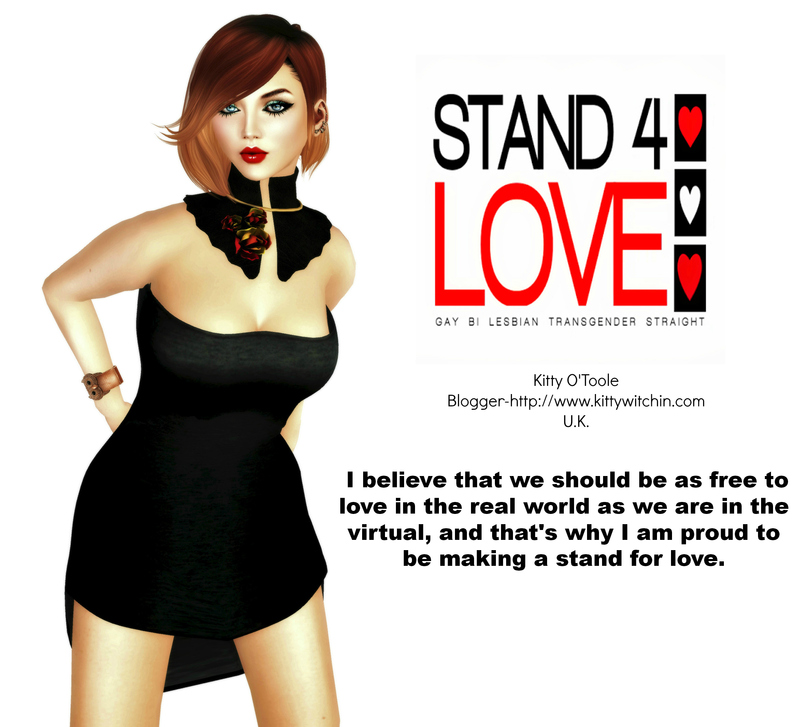 Like most real-life holidays and festivals SECOND LIFE embraces St Valentine’s Day with as much gusto as it can, meaning that the grid will soon be festooned in frothy pink and red hearts everywhere, but there’s also going to be some excellent shopping opportunities. If you like your looks romantic but retro with a modern edge, here’s an outfit to get you going. I’m sporting a beautiful frock from VALENTINA E (perfect place for Valentine’s Day fashion, right down to the name!) in a perfect shade of blush pink, although other colours are available. It features puffy sleeves and a nipped-in, banded waist with a ‘V’ neck to both the front and back, along with excellent creasing and seam detail. I’ve teamed it with some edgy tattoos from NAR MATTARU, and a cracking necklace I discovered whilst mooching around RANDOM MATTER (one of my absolute fave stores in-world for edgy and unusual accessories). My rings are from YUMMY, a brand that is quite frankly on fire at the moment, releasing epic ring set after ring set (and here I am buying them all) and this one is no exception. This is the ‘Sweetheart’ ring set, featuring a ginormous, gem-encrusted heart, along with individual decorated bands and statement rings to adorn your paws in perfect Valentine fashion. It’s available right now at N21 and is available to fit either Maitreya or Slink. Right, that’s one look sorted for Valentine’s Day. Plenty of time left to change my mind and my outfit a million times over. Watch this space!